My Poem, Fruit of Repentance, A Poem of the Spirit, is found on page 7 of my book Beyond These Dark Lands Are Edges of Joy, Words of Comfort and Hope. It is a poem that will bring you closer to God and give you strength to move forward through difficult time. Repentance is understood as meaning to turn around or to reverse the direction of your actions. To think of repentance as being something that produces fruit is a new concept for many people. The reference to fruit has a double meaning which those who are familiar with the fruit of the Spirit found in the Bible will understand. See the Scripture reference in the footnote on page 16. This poem is 28 lines long but many lines are one word, and most are three or four syllables long though a few are five or six syllables long. This poem is without metaphor or imagery, but it is a dialogue written as a prayer. The form of this poem is like a prayer since it opens with the address to God. "Father, of love..."
The next two lines form a couplet of three syllables each followed by a line of four syllables. This structure is repeated three times as the prayer-poem rushes into a confession. The sins confessed are lovelessness, joylessness, and peacelessness. Line 11 introduces the fourth sin, it is a summary of the first three and infers many more. The point is made at the end of most of my poems, but the point comes early in this one then follows it with a sub-point. The last seven lines do not have rhythm but the lines are a familiar length. The lack of rhythm draws the readers attention to each statement. The prayer-poem changes to petition and askes God to lead you to repentance. The concluding lines are an affirmation of faith. In my poems, I avoid anything like advice since I am not a counselor or therapist, but on matters of faith I can speak confidently so this poem contains aspects of teaching for those of faith. If you do not possess love, joy, and peace then you that must confess and repent of it. 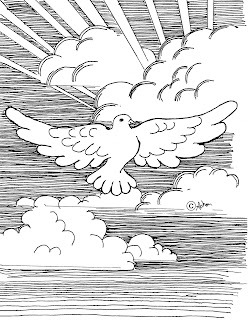 We have a responsibility to have love, joy, and peace even though they are the fruit of the spirit. The spirit will bring the fruit if we let it and so we have to begin with confessing it as a sin and repenting of that sin and receiving the power of God's Holy Spirit to bring the fruit in our lives. 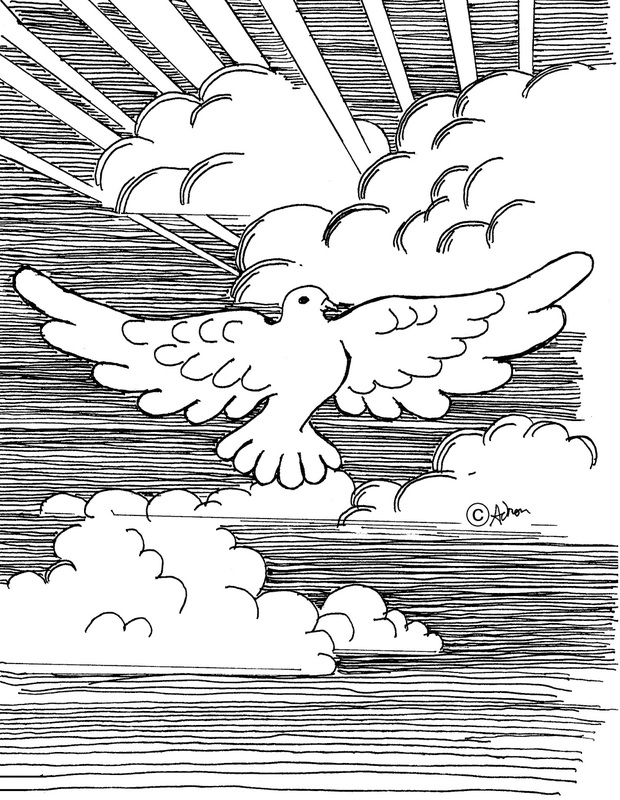 The illustration for this picture is symbolic it is a dove. This illustration breaks away from the others because it is one of the few without a road leading through the land. You can read this poem on page 7 of the book. If you would like to read a sample poem choose the link below for the website. If you know someone who needs love, joy, or peace in their life you should buy and give them a copy today, you will glad you did.